Available in small factor and tower form, the Dell OptiPlex XE2 is a versatile computer that offers exceptional stability, security, and management. It makes desktop planning and administration simplified processes. Dell advertises this machine as the world’s “most manageable desktop”, as it features the latest Intel vPro technologies and unique extensions that enable BIOS management. In case of a security breach, there is a remote hard drive wipe function. The integrated Trusted Platform Module, security lock, and optional smart card keyboard offer additional security. Users can streamline deployment, updating, and monitoring with automated utilities and tools for client systems management. Both the small form factor and tower versions are expandable industrial-grade computers that feature extreme durability and high heat tolerance. The XE2 is built for demanding work in a variety of industries, from diagnostics labs to manufacturing. It easily integrates into an organization’s unique workplace. The small form factor unit is ideal for offices in which space is limited. Both models also feature a high number of ports and slots, including every type of USB port, DisplayPorts, knock out slots for wireless antennas, serial port, universal audio jack, PCIe slots, and many others. With processor options such as Intel Core i5 (six-core) and i7 (six-core) and memory options ranging from 4GB to 24GB (optional Optane), any user of this desktop can expect speed and high-performance at all times. There are plenty of storage options as well with the Dell OptiPlex XE2 as it can accommodate multiple drives with its 3.5-inch pay, 2.5-inch bay, and M.2 slot. Those professionals and business users who require a lot of graphics performance can select either integrated Intel HD (4600) or customize the PC with an AMD discrete graphics solution. As with many desktop towers these days, a monitor is not included. However, it’s recommended that shoppers buy a model from the Dell UltraSharp series, which goes really well with the XE2. There are also good Dell Professional series displays available in sizes ranging from 17-inches to 24-inches. For the audio speakers, internal Dell 2 and 2.1 stereo systems are available. Some of the select flat-panel displays feature a Dell sound bar. Most operating systems run on the Dell OptiPlex XE2, including Microsoft Windows 7 Home premium, Windows 8 standard (64-bit), Ubuntu, Windows 10, and so forth. There are a lot of business desktops on the market these days, but not all of them offer a lot of value like the Dell OptiPlex XE2. Both the tower and small form factors make great additions to any office setting. The fact that they are built to last and easily expandable makes them a very wise investment. Get a good deal today by using a Dell coupon code. The company is good when it comes to its special promotions on desktops and other electronic products. Since there are so many satisfied customers leaving positive Dell OptiPlex XE2 reviews, you don’t want to miss out on your chance to get it at an affordable price. 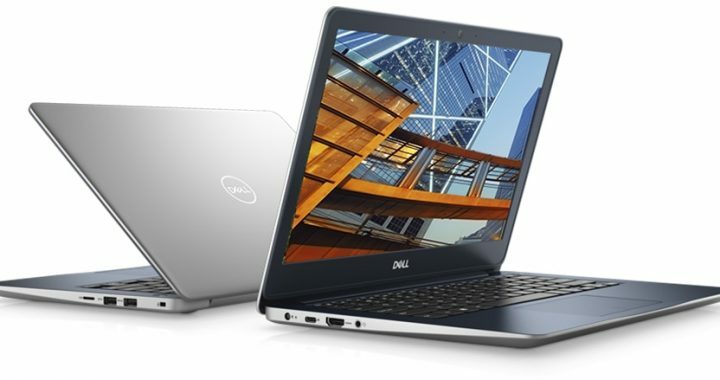 Dell’s Precision notebooks are always built nicely and have a sleek, stylish design, and this new model is no different. It’s a very attractive mobile workstation to say the least. Successor to the 5520 model, the new Dell Precision 5530 looks just as great and comes configured with upgraded components. If it’s within your budget, you’ll definitely want to consider this workstation, as it can be outfitted to compete against other mid-to-high end workstation PCs on the market. Even though it’s dubbed as a “mobile workstation”, the 5530 is still thin and light like an ultrabook, yet it contains some powerful hardware components. There are two 15.6-inch UltraSharp display options, including an FHD (1920 x 1080) panel and a UHD (3840 x 21060) touchscreen. It’s recommended that you go with the 4K panel as it is bright, crisp, vibrant, and emits 440-nits on average. Get some excellent performance from the CPU, no matter what kinds of applications you have to run. The predecessor, 5520, was capable of reaching decent numbers, yet still not enough as the new 5530 with its Intel Core i5 quad-core or Intel Core i7 six-core processor options. If that’s not enough for you, you can even upgrade to a six-core Xeon or Intel Core i9, which can reach all the way to 4.80-GHz with Turbo speed and has a 12MB cache (45-W). The palmrest can be configured with an 80 key layout with or without a fingerprint reader. If you opt for the fingerprint reader (which is recommended), it won’t cost much more at all. How much memory do you need? 16GB is the ideal option for most users, but you can save money if you only need 8GB. Need more? Expand the memory up to 32GB (2-DIMMS / non-ECC). The Dell Precision 5530 has room for two hard drives. Only one is included unless you add a second one to your order. Or you can always add more storage down the road if you ever need it. The cheapest option for a fast SSD drive is an M.2 NVMe PCIe (class 40) with 256GB capacity. Imagine how much work you can accomplish with a NVIDIA Quadpro video card with 4GB GDDDR5 memory. Choose either P1000 or P2000. System performance with this Precision computer is above average for a workstation of its size and price – especially if you pair the Quadro P2000 graphics card with the Xeon E processor. There are plenty of other essential features and components with the Dell Precision 5530, including a three-cell Lithium Ion battery unit (56-W) with ExpressCharge, and your choice of Qualcomm dual band (2×2) wireless adapter or Intel Dual Band AC (2×2) Mu-MIMO. Bluetooth 5.0 is included with both of these. With the Intel dual band technology, the Bluetooth features vPro. 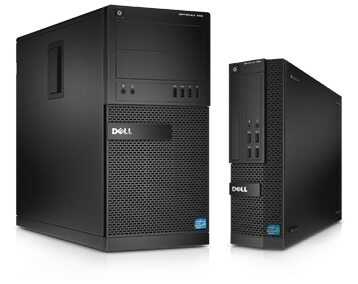 At the Dell Discount Store, it’s easy to get good deals on all types of PCs – including Precision workstations. All a shopper needs to do use a promo code or click on a coupon offer. See what kinds of Dell Precision 5530 discount codes are available right now and get started shopping! This new Vostro is designed for professionals and business users on a budget. With features like a long battery life, loud speakers, crisp display, and nicely-built keyboard, it’s definitely a good notebook for its price. With a USB 3.0 port, two USB 2.0 ports, headphone / microphone jack, and an Ethernet port, the Dell Vostro 15 3000 comes equipped with everything you need to get through a day’s work. The 15-inch anti-glare display comes with optional FHD 1080p resolution, which delivers a rich viewing experience. There are also versions of the Vostro available with 14-inch displays. It’s easy to collaborate remotely thanks to the built-in HD webcam and high-quality audio. Waves MaxxAudio Pro really does a good job at enhancing audio software. The keyboard is excellent and it sports chiclet-style island keys that offer a good mix of resistance and feedback. It’s very easy to type fast without accidentally hitting any wrong keys or the base of the machine. The touchpad measures 4.x1 x 3.1 inches and is highly intuitive. All gestures, including the more advanced ones such as three-finger swiping to switch apps, work well. You don’t have to settle for an ordinary black chassis. There are other color choices, including red, which vary by region. Much testing has been done to ensure that the Dell Vostro 15 3000 is a durable laptop. For instance, it can survive in hot conditions (short term) of up to 159F / 65C, so if you accidentally leave it in the car on a hot day, it will last for some time. The hinges are very strong as well. The lid closes up to 20,000 times during the life of the Vostro 15. The multimedia buttons and power button survive up to 40,000 pushes. For graphics performance, the Vostro is a machine that is designed for getting work done. The cheapest models come with integrated HD graphics (5500). Some models feature an optional discrete NVIDIA 820M 2GB video card. The battery is a four-cell 40-Whr cylindrical lithium ion unit. The processor is an Intel Core 5th Gen. i3 5005U and the cheapest display option is a 15.6-inch HD LED-backlit anti-glare screen with 1366 x 768 resolution. It’s recommended that you opt for the FHD 1080p display instead. Get up to 8GB of SODIMM 1600-MHz DDR3L memory with this notebook. It offers an ample amount of storage (500GB or 1TB) with a SATA 5400-RPM hard drive. Additional features of the Dell Vostro 15 3000 include two USB 2.0 ports, a USB 3.0 port, SD card reader, VGA-out, wireless technology and Bluetooth combo, and 65-watt AC adapter. How do you want to configure your business laptop? Take advantage of Dell Vostro 15 3000 promo codes and use them towards your order so that you can get the best features possible. There are some great Dell deals available online. If you’re looking for an AiO that is easy to deploy and use, this one is an excellent choice. All you have to do is hook it up to an outlet via a single plug. Wireless keyboard and mouse options are available. Whether you want to put it in the office or home, you won’t need much space for setting up the Dell OptiPlex 3050 All-in-One. In addition to easy deployment, it also delivers reliable performance with features like Intel Core dual-core processor. The 19.5-inch HD+ display has a 1600 x 900 resolution and sits upon an articulating easel stand. There is also a touch version available. Either version will offer vivid colors and clarity. You can also expect clarity with the 1.0MP / 720p HD webcam, which has a privacy cover for when you don’t need to use it. There are six USB ports, including USB 3.1 Generation 1 w/ PowerShare that can charge your other devices even when the computer is powered down. The standard media card reader enables fast data transfer from various types of memory cards. It could be said that the Dell OptiPlex 3050 All-in-One is “created for collaboration”. In addition to the webcam, it also features a dual array microphone and integrated speakers. If you need to use it for business, you can use the Skype for Business certification for both telephone and video conferencing, making communication an easy process. There are a variety of other storage options and OS options as well. If you want more than the 19.5-inch display, just use the VGA video output or DisplayPort for connecting the all-in-one with a larger monitor. Security features include TPM 2.0 technology, Dell Data Protection, webcam port cover, chassis lock slot support, Dell Secure Works, “Secure Erase” local HDD data wipe (via Bios), Intel Identity Protection, and many optional technologies. The OptiPlex 3050 is ENERGY Star 6.1 qualified and EPEAT Registered to ensure environmental-friendliness. As with any PC, some configuration options vary depending on the region. All you have to do is look over your options while customizing your order. Another good thing about the Dell OptiPlex 3050 All-in-One is that it doesn’t come with tons of pre-installed bloatware that many other new PCs come with. It’s very easy to shop at the online Dell Computer Store, discounts are readily available. If you want this AiO, you’ll find that there are many options you get to choose from. Just apply a Dell OptiPlex 3050 All-in-One coupon to your order to help you save. 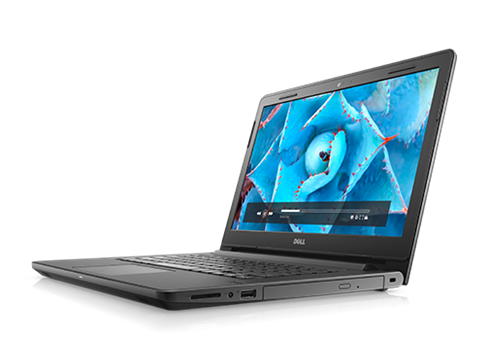 Dell is perhaps the most well-known company when it comes to both consumer and business laptops. If you’re after superior security, productivity, and reliability, then you can’t go wrong with this brand. Are you a professional? No matter what kind of specific needs you have, there should be some Dell business laptops to help you meet those needs. The Latitude is usually the first name to come to mind when it comes to Dell business computers. These are available as both regular laptops and 2-in-1 devices with touchscreens. No matter which model you select, you can expect to get the best in-class security features such as multi-factor authentication hardware (i.e. fingerprint reader and contacted FIPS smart card reader (201) and ControlVault 2 with FIPS 140 (two-level three-certification). The price range of a Latitude notebook varies considerably depending on configuration, display size and resolution, series, etc. The XPS series is considered the “power-user” class. It’s ideal for anybody who needs additional power and performance for running intense tasks, whether it’s Photoshop editing or gaming. Some models are ideal for professionals and some for mainstream users. When it comes to screen size, there isn’t a wide range of options. There are only configurable versions of a 15-inch and 13-inch clamshells. The 2-in-1 notebooks are pretty powerful for that class – especially the 15-inch model, which comes with Intel / AMD hybrid Kaby Lake G CPUs and AMD Radeon graphics. Need a mobile workstation? There are Dell business laptops in the Precision line. These workstations are known for their ISV certifications and specialized GPU and CPU options. Independent Software Vendor certifications give users with demanding business needs (in areas such as engineering and architecture) assurance that the machine will run efficiently with certain applications. If you’d prefer a Chromebook, you’ll find that Dell offers some affordable models for users in the business and educational sectors. These are designed nicely for businesss-class performance and offer fast access to the Google App Store and cloud. You can expect all of the customer support you need through ProSupport Plus and an excellent battery life (up to 12 hours). Even though Dell Chromebooks tend to be lightweight and thin, they are still highly durable and come with a decent amount of I/O ports like multiple USB spots. 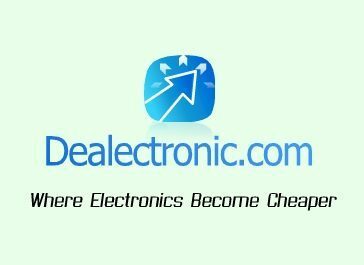 Whether you’re interested in any of these machines or want to look at other Dell business laptops (such as a Vostro), you can usually find good deals online. Dell offers amazing discounts to various consumers and organizations. There are also flexible payment plans to help you pay for your laptop and accessories. You can find some very impressive Dell promotional codes online right now. Carefully look over your options and read Dell business laptops reviews to find out what other professionals are saying. Which one will be right for you? There are plenty of reasons to invest in a machine like this one, and if you’ve been reading Dell Vostro 13 5000 reviews you can guess why. It gets a lot of high ratings by users for its impressive performance, massive memory expandability, lightweight design, and nice display. With AMD Radeon 530 graphics and 4GB GDDR5 of video card memory, you can get a lot of entertainment out of the 5000. It can run a lot of games efficiently. Setup is a breeze – even if you’re not very experienced with laptops, you’ll still find that it is easy to use and that the software is easy to install. The built-in HDMI will allow you to hook it up to a larger display if you need to. The display it comes with is a 13.3-inch FHD LED-backlit (1920 x 1080) screen. It’s compact enough to fit inside of any briefcase or tote bag. The Dell Vostro 13 5000 is a 4.1 x 2.6 inch touchpad provides accurate navigation and response. It’s easy to use multi-touch gestures such as three-finger swipes and pinch to zoom. Even when running demanding programs, you won’t have to worry about the machine overheating. The top surface stays comfortable cool. While the bottom warms up a bit, it’s not too uncomfortable. The battery life is pretty impressive. You can easily get around 7 hours with the integrated three-cell battery (38-WHr). There is also a 720p webcam that takes high-definition photos – even in low lighting settings and fluorescent lighting. With the Waves MaxxAudio Pro technology, you can collaborate remotely with high-quality video and crystal clear audio. There is a wide variety of connectivity with the Dell Vostro 13 5000, including USB 3.1 Generation 1 / Type-A, USB 3.1 Type-C, a micro SD card reader, and HDMI. If you need this notebook for business reasons, you’ll be glad to know that there is good, reliable security to keep the information safeguarded. These features include TPM hardware and optional fingerprint reader. The easy access to BIOS allows for broad manageability to configure the system to your own specifications. Is 8GB memory not enough for you? You can easily expand all the way up to 32GB. It’s possible to save money if you think you can settle with Windows 10 Home instead of Pro. Now that you know what comes with the Dell Vostro 13 5000, you can get started with customization. Configure it with the specs you need and choose some accessories as well. Don’t forget to use Dell ecoupons when placing your order. There are ways to bring down the price if you need help financing this machine. It’s definitely worth investing in, so don’t turn down the chance to get a Dell Vostro 13 5000 deal! 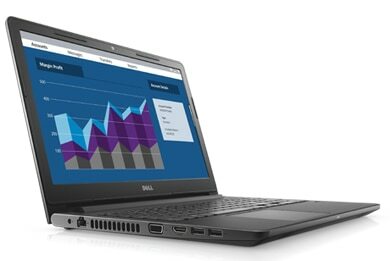 Among the newest generation of Dell’s Precision workstation series is the 7730. It’s designed like the traditional workstation, but is updated with more RAM, latest GPUs and CPUs, and a new chassis. The configuration allows for up to an Intel Core i9 six-core processor with 12MB cache / 45-W. 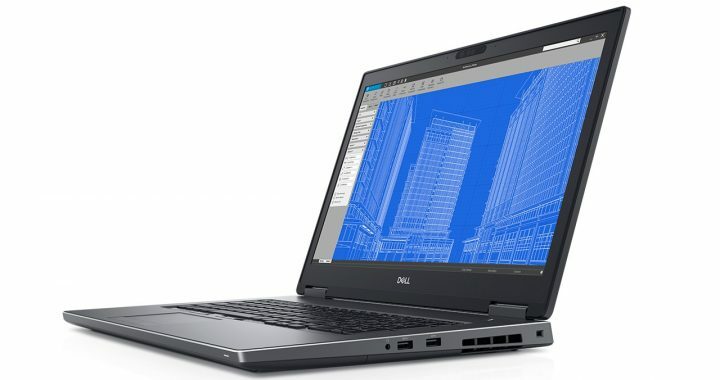 The chassis of the Dell Precision 7730 is redesigned with features such as smaller hinges, better keyboard-layout, and an overall “squared-off” appearance. It’s also thin and light for a 17-inch laptop. This VR and AR-ready machine offers powerful performance that is normally only found in more expensive tower workstations. You can get unexpected speed with superfast memory, thanks to the (optional) SuperSpeed up to 3200-MHz. The boot up process is also very fast, and you can launch your most used apps and files in a flash with Optane memory, which is highly adaptive to the user’s needs. There is improved productivity thanks to features like the Dell Precision Optimizer. Performance is tuned in order to deliver faster app optimization with a single click. The 7730 also automatically tunes to run popular ISV applications with excellent performance and speed. System updates are automated. Don’t worry if you are the clumsy type, since this mobile workstation has undergone plenty of MIL-STD 810G testing to ensure reliability and durability at all times, no matter if you drop it or bump it up against something really hard. It can also withstand extreme temperatures. 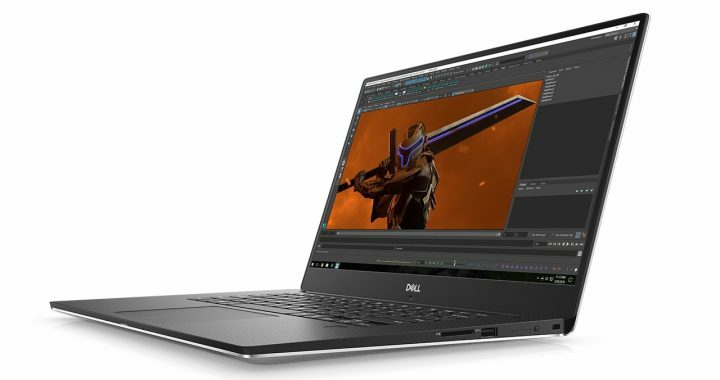 The Dell Precision 7730 has a starting weight of 6.99-lbs and measures 1.18-inches in height, 16.30-inches in width, and 10.77-inches in depth. The absolute cheapest configuration includes an Intel Core i5 processor (quad-core) at 2.30-Ghz (base). It can go up to 4-GHz with Turbo technology (8MB cache / 45-watt). As mentioned above, you can opt for an i7 or even an i9 model if you want as much power as possible. Choose from various NVIDIA Quadro and Radeon Pro WX graphics for dedicated video memory. The memory options start from 8GB non-ECC all the way up to 128GB (4 x 32GB) Non-ECC or 16GB – 64GB (4 x 16GB) DDR4 ECC. There is enough room for four hard drives, with the cheapest option being a 2.5-inch 500GB SATA (7200-RPM). For the battery, a four-cell lithium Ion with ExpressCharge (64-Wh) is included with the base price, but you can go with the 6-cell 97-Wh battery if that is not enough for you. There are many other configuration options for the Dell Precision 7730. It’s surprisingly affordable as well considering all that it comes with. Its expandability and durability ensure that it will last for years to come. Go ahead and start placing your order – don’t worry about the price too much. 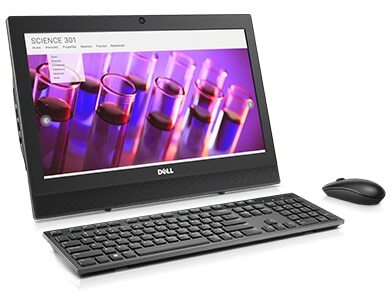 With Dell Precision 7730 coupons most people can afford this workstation. There are always other Dell discount options available as well. The great thing about 2-in-1 machines is that enable all day productivity. Models like the Dell Latitude 5491 come with the most manageable and secure features – inside a nice, sleek design. It’s available in different configurations and has a 14-inch 1080p display. Get defense from all potential attacks with the ControlVault 2 feature with FIPs 140-2 / Level 3 Certification, which offers a secure way of storing and processing passwords, security codes, and biometric templates. Management is simplified via Dell’s unique vPro extensions. Login to the 5491 with Windows Hello and an infrared camera. There are a variety of other security options to meet any professional’s diverse needs, such as a fingerprint reader and Contactless Smart Cart Reader (NFC). The notebook has a simple, yet classic look. It’s a business class machine that has an all matte-black finish, backlit keyboard, and two sets of mouse buttons. The keyboard is responsive and offers a tactile feel. Overall, the Dell Latitude 5491 has a good build quality and cool operation. You won’t have to worry about it overheating. All-day productivity is something that all professional users require from their notebooks. Having a long battery life and extensive connectivity / networking options like single cable docking and 4G – LTE is essential. Express Charge ensures that the machine is up to 80% charge in under an hour. These are even more reasons to invest in the 5491. The battery is a four-cell ExpressCharge Capable unit (68-Whr). The 8th gen. Intel Core i7 processor (8850H) is six-core and features vPro technology (9MB cache / 2.60-GHz / 45-W). This is a pretty powerful CPU for a 2-in-1 notebook. There are NVIDIA GeForce MX130 (2GB GGDR5) graphics available with the base configuration. The hard drive is a fast PCIe NVMe Class-40 SSD (M.2) with 512GB capacity. For the memory, you can expect 16GB DDR4 / 2666-Mhz / Non-ECC. The 14-inch FHD display is available as both a non-touch panel and touchscreens. To truly get the most out of a business 2-in-1, a touchscreen is always essential – especially one with a nice 1920 x 1080 anti-glare resolution. A camera and microphone are also included. For Wi-Fi technology, this Dell Latitude features Intel Dual Band AC 9560 (2×2) as well as Bluetooth 5.0. Get all of the USB slots you need, including USB 3.1 Generation 1 w/ Powershare and DisplayPort Over Type-C and optional Thunderbolt 3. 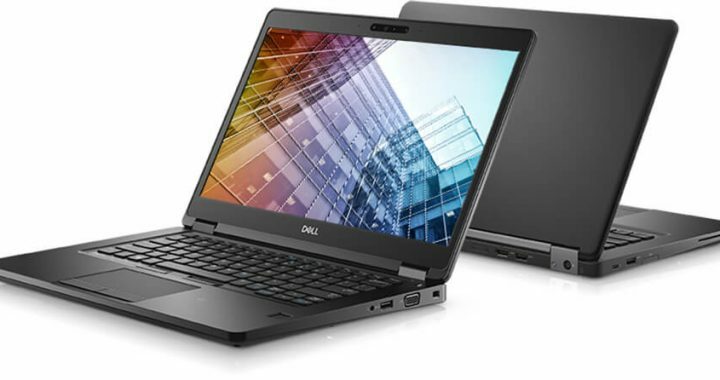 If you’re looking for a high-quality, durable professional laptop that comes with all of the security and productivity features you could ever need, the Dell Latitude 5491 should be at the top of your list. Are you after a good deal? First, get some Dell coupon codes. Apply them to your order during checkout and as long as they are valid, you should be able to get a nice Dell Latitude 5491 discount. This 27-inch PC is specifically designed for media professionals. It is an all-in-one workstation features a variety of processor options including 6th and 7th gen. Intel Core and Xeon family processors. No matter how you choose to customize it, you can count on getting maximum performance. Dell describes the machine as being “the world’s first VR-ready AiO workstation”. 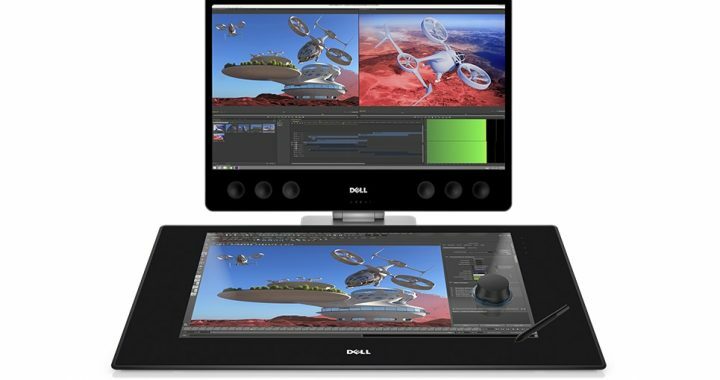 There are also different 4K UHD display options with the Dell Precision 5720 All-in-One to help improve workflow. It is an ISV-certified machine due to its precise engineering and extreme testing to optimize reliability and smooth performance while running all of the leading industry applications. If security is important to you, you can expect unparalleled protection with endpoint security solutions. Security features include advanced authentication, comprehensive encryption, leading-edge malware protection, error-correcting code memory, and so forth. Powerful sound is provided via four full range drivers, two tweeters, and a nicely integrated sound bar, which features ten front – down firing speakers. Crystal clear voices and clean, high notes are always produced by the tweeters. Digital dynamic amplifiers power the speakers, and produce 50-W per channel for high-quality audio production and playback, making the Dell Precision 5720 All-in-One an impressive workstation. If you need to do graphics-intensive tasks involving VR creation / consumption and 3D rendering, be sure to select the latest generation of AMD Radeon Pro graphics cards. A pro WX (4150) AMD Radeon video card with 4GB GDDR5 is included in the price. Choose a 7100 model with 8GB GDDR5 memory if you need even more graphics power. A 6th Gen. Intel Core quad-core processor (3.2-GHz – 3.6-Ghz turbo boost / 6MB cache) is the cheapest option for the processor. There are a variety of options for a 7th gen. Intel core processor and Intel Xeon E3 processors. As for the OS, Windows 10 64-bit Pro is the default option. It costs only a bit more for Red hat Enterprise Linux (WS v 7.0) or Ubuntu Linux 16.04. There are numerous memory options to choose from, ranging from 8GB Non-ECC to 64GB (4X16GB) SoDIMM ECC (DDR4 2400-MHz) and every memory option between. There is room for multiple hard drives. The base configuration is one 2.5-inch 500GB SATA FIPS drive / 7200-RPM. Upgrade this and/or add additional hard drive for even more storage. The Dell Precision 5720 All-in-One has a very nice design and comes with a fixed or articulated stand, depending on the configuration. The display is a Dell Touch Liquid Crystal Model (a non-touch LCD is also available). In addition to the AiO itself, you’ll also find a black Dell MS116 Wired Mouse and KB216 wired keyboard in the box. Qualcomm wireless 802.11 ac (2×2) and Bluetooth 4.1 are also included. You’ve probably heard about Dell promo codes, but do they really work? They absolutely do! All you have to do is look over each offer to determine if they will be valid for use with your order. Make sure any Dell Precision 5720 All-in-One coupon you use hasn’t yet expired. If it has, there will be plenty of more to choose from in the future. Purchasing a business laptop is an extremely important decision every professional has to make. Features such as security tools, connectivity, and specs always must be considered carefully. One particular notebook that offers a lot of great features for security, productivity, and manageability is the Dell Vostro 14 3000. The Trusted Platform Module (TPM) 2.0 provides commercial-grade storage and protection. It works great with programs like BitLocker and allows users to configure security settings. The Dell BIOS is easy to access, and the (optional) fingerprint reader allows users to login securely via Windows Hello with a single touch. There are no passwords necessary. This machine gets a lot of praise for its design, which includes a durable matte black casing and a nicely-built keyboard. The touchpad, according to Dell, can be used over one million times, and the keyboard can withstand several million keystrokes. There is optional backlighting with the keyboard to make typing in dark environments easier and more comfortable. The connectivity is pretty impressive with the Dell Vostro 14 3000. It comes with a multi-functional USB Type-C port as well as HDI, USB 3.1 Type A, USB 2.0, and an SD card. The USB Type-C port allows users to connect the notebook into multiple displays or other accessories like printers, mice, and keyboards. The HDMI v 1.4a allows the 3000 to be connected to a high-definition display. For audio connectivity, a headphone / microphone jack is included. The 14-inch display has an attractive anti-glare LED screen and works efficiently outside in sunlight. What kind of specs come with a business notebook such as this one? With some configurations, there are options to upgrade some of these features. Storage and memory can both be expanded as needed, up to PCIe NVMe SSD and 32GB respectively. Those who require more powerful graphics can configure the Dell Vostro with NVIDIA MX130 discrete technology. The Dell Vostro 14 3000 varies in price considerably depending on spec configuration and which optional security features are selected. As with all Dell computers, however, there are good financing options and discount offers available. Take a look at some Dell coupons and other special offers to find out how you can easily finance a new business notebook. No matter how you want to customize this machine, you should be able to afford it with the use of Dell Vostro 14 3000 promo codes.